We are seeking a Head of Commercial to lead the strategic growth of the commercial program by securing new and existing commercial clients and partners. Through the development of the commercial and major events programs, the Head of Commercial will ensure that Carriageworks’ expands its national and international reputation as an organisation that delivers exemplary, high level outcomes for commercial partners. 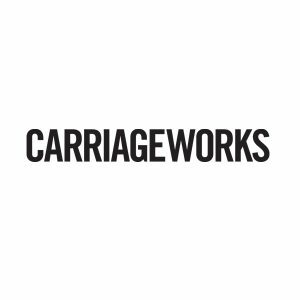 Carriageworks is committed to building a diverse, inclusive and flexible workforce. Carriageworks strongly encourages applications from Aboriginal and Torres Strait Islander people, people from diverse cultures and people with a disability. Carriageworks is Australia’s leading contemporary cultural precinct. A place of diversity, collaboration and cultural relevance. Through the delivery of a contemporary multi-arts and major events program Carriageworks audiences will reach 2million per annum by 2021. Carriageworks is recognised nationally and internationally for its strong investment in commissioning and presenting contemporary work in partnership with artists and the delivery of major events that provide high quality immersive cultural experiences for our diverse audiences. Please email Head of Commercial to jobs@carriageworks.com.au for a position description and instructions on how to apply for the role. Please quote in application: Head of Commercial via Pro Bono Australia.